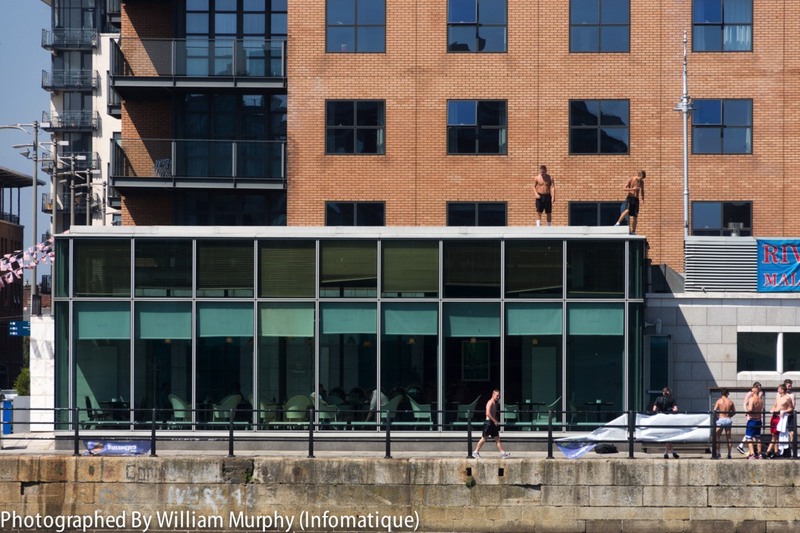 July 2013: A series showing Dublin youths taking advantage of the unusually good weather by jumping into the Liffey from a restaurant roof on the North Wall [Swai,The Campshires, North Wall Quay]and from the roof of another building close the Custom House quay. 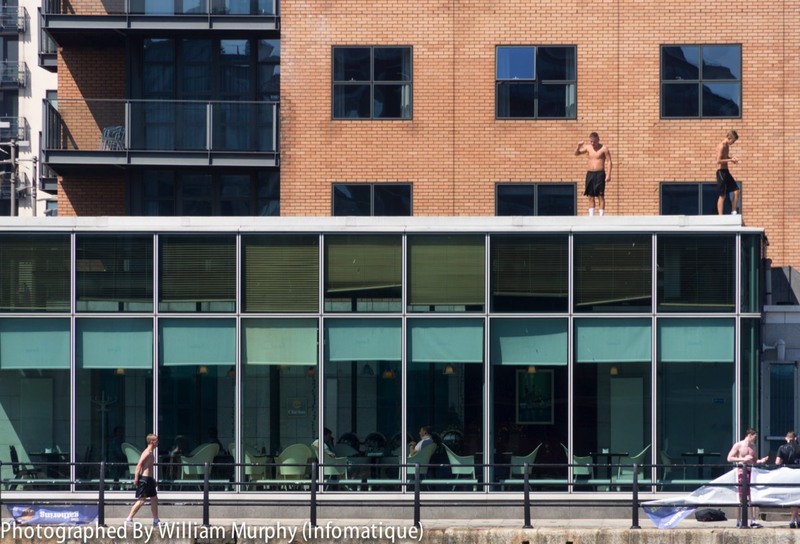 Jumping from roofs has been a minor problem for business owners along the North Wall for a number of years but for some reason it is only this year that it has attracted media attention. 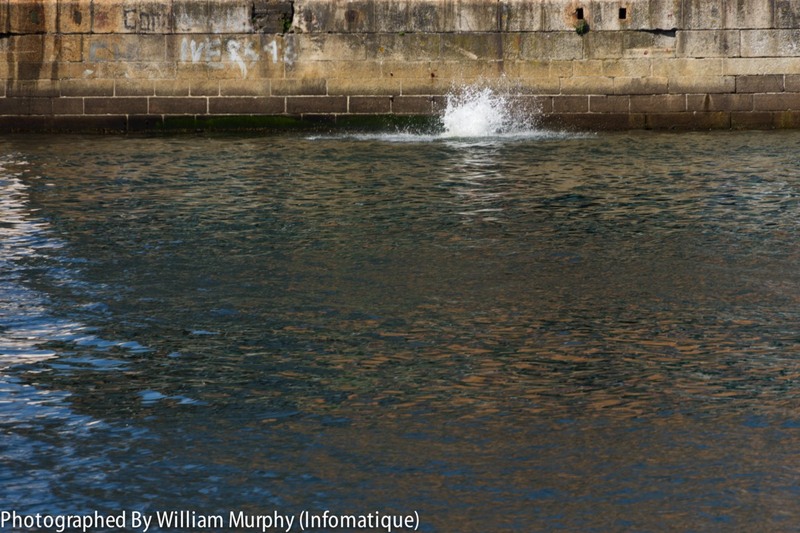 When I took this photograph and the associated short video clip there was a camera crew on the river and it is becoming obvious that the media reaction is now encouraging and increasing the activity in question. 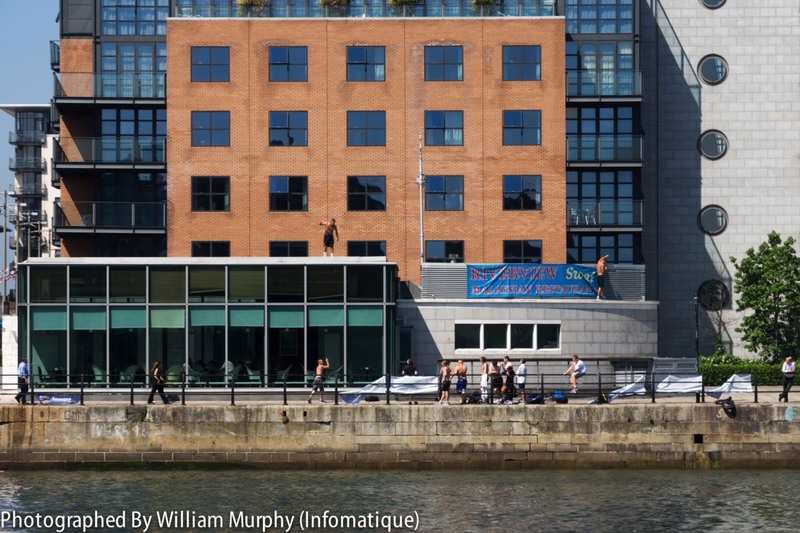 Because of the anti-social behaviour in the area coupled with the downturn in the economy the owners decided to close at the end of 2013. I must admit that I was more than a little bit disappointed.